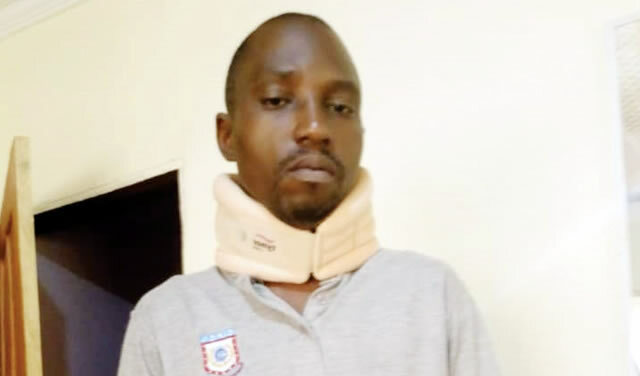 A Turk, identified as Yalcin Oktem, is on the run after allegedly stabbing the accountant of Slavabogu Construction Company, Oluwaseun Ojo, in Osogbo, Osun State. Yalcin was said to have stabbed Ojo for allegedly being disrespectful to him. PUNCH Metro learnt that Yalcin had on April 3, 2019, approached Ojo for money to purchase drugs, which was given to him. It was gathered that Yalcin allegedly stabbed Ojo for not writing ‘Mr’ in front of his name on the voucher presented to him to sign for the money he collected. Ojo, who spoke with our correspondents, said Yalcin, who is the younger brother of the managing director of the company, was fond of assaulting the workers and getting away with it. He noted that the managing director of the company, Ersin Oktem, also threatened to sack him for reporting the incident to the police. He said, “Yalcin came to meet me that he needed money to buy drugs for his ailment and I asked him the amount he needed and he said I should give him any amount. I asked if N10,000 was okay and he said I should give him N3,000, which I did. “He went to town to buy the drugs and when he came back, he gave me the receipt and a balance of N600 and I told him to wait to sign the voucher indicating that he collected the money. “I wrote on the voucher ‘Drug given to Yalcin’ and he said that why would I write his name without putting Mr. I thought it was a joke but he smashed the syrup bottle on my head and my head swelled up; I tried to fight back but I couldn’t. Fake Adeboye, Joshua, Olukoya on facebook has been cut but already defrauded 100 people.